As you progress through the levels the grid size also increases as does the complexity and structure of the language. All of the Symbol Talker grid sets include a keyboard with prediction, quick chat pages and special pages. Symbol Talker A is designed for somebody starting off with alternative communication. Words are organised by topic. On each topic grid you can build simple sentences from one or two selections. Symbol Talker B builds on the language and access skills that have been established and provides vocabulary to build sentences from up to three selections. 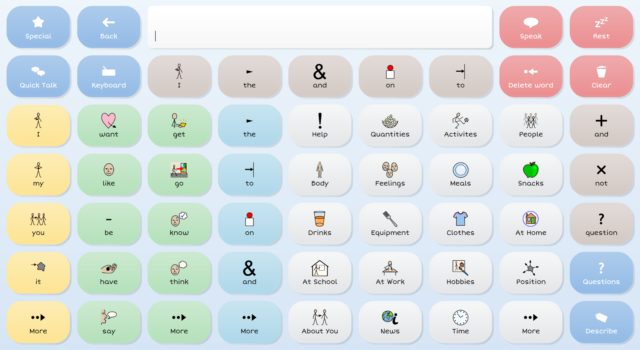 Symbol Talker C provides a transition for people that have successfully communicated with a topic based vocabulary and are ready to use more language tools to say more. Core vocabulary is the name given to the words we speak most often. 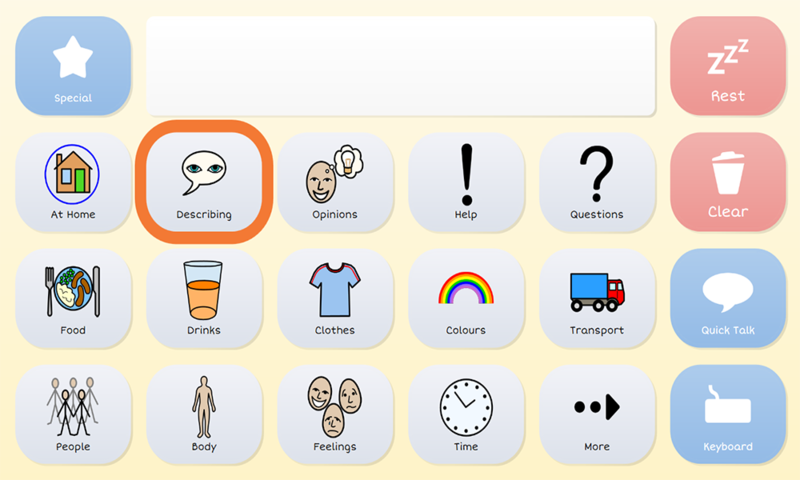 In Symbol Talker C you can access core vocabulary on each topic grid, giving you the power to create a much wider variety of sentences. 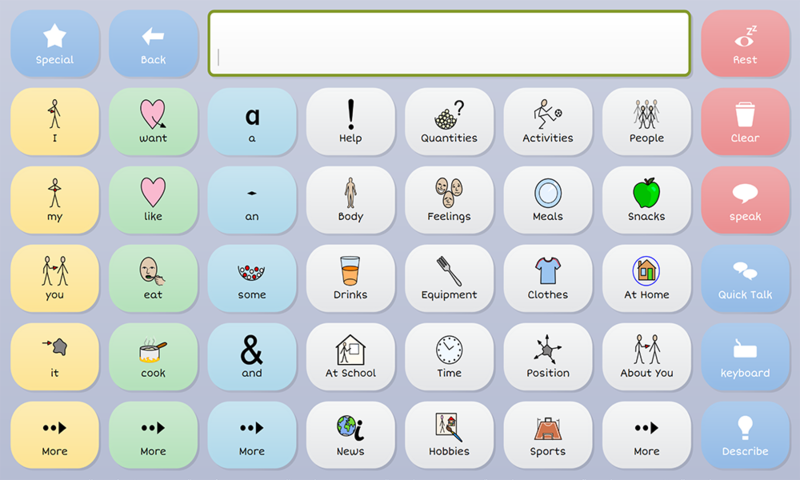 Symbol Talker D promotes core vocabulary to the top page. This means you can generate novel sentences very quickly and you only need to visit topic pages to find less common words. 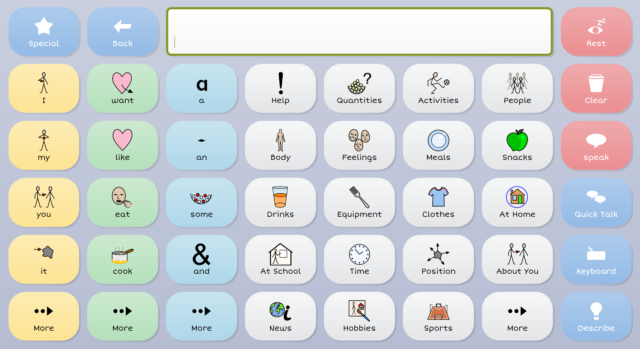 The smart grammar tools in Grid 3 help you generate grammatically correct sentences with fewer selections. 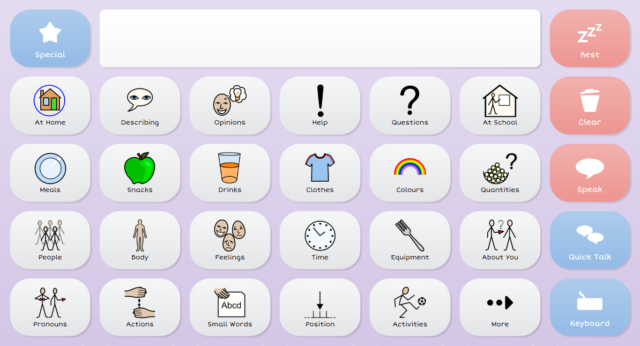 Each Symbol Talker grid set also includes a ‘Special’ page with additional features and resources. 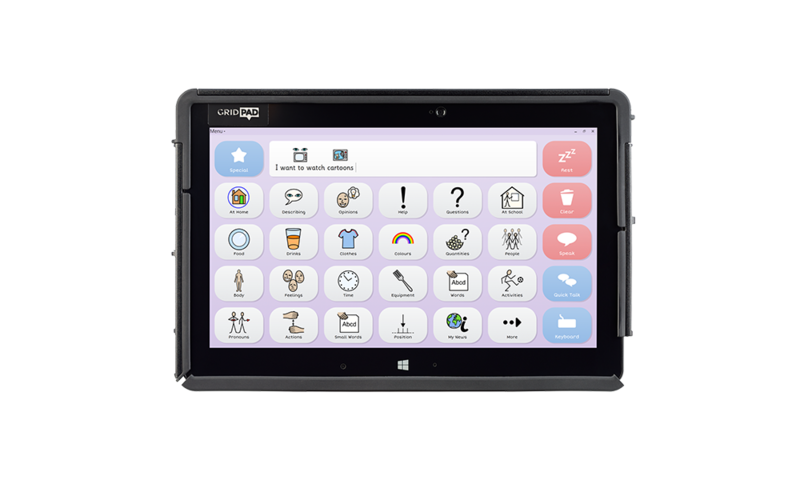 These include music and video, an accessible camera and environment control. Grid 3 also provides fully symbolised SMS and email so everyone can stay connected with friends and family.